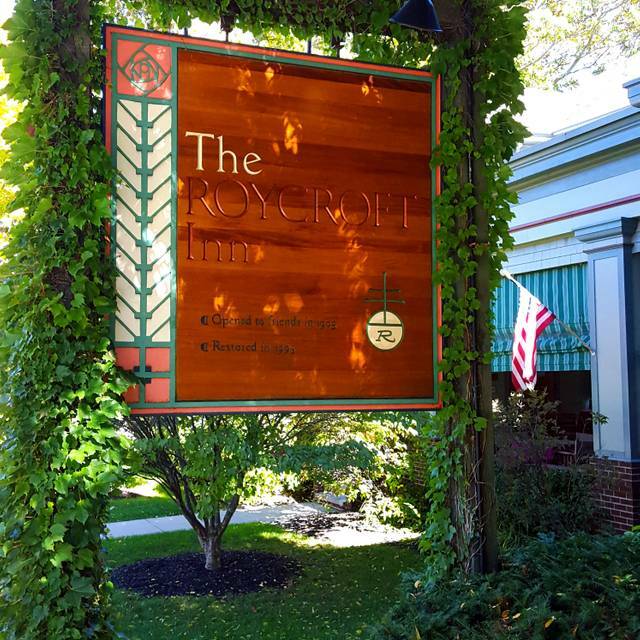 You must make reservations at least 5 minutes in advance of the time at The Roycroft Inn. The completely refurbished Roycroft Inn and restaurant is ideal for your meetings, seminars, retreats or special occasion dinners. Hubbard Hall seats up to 120 people, The Library can accommodate 45 people. Several other rooms can be used for small functions up to 30 people. An entire Inn event can comfortably accommodate up to 200 guests. Our conference coordinator is dedicated to helping you create an event that will leave a lasting impression upon your guests. Whether it is audio visual equipment rentals, entertainment, music flowers or a theme event, our staff will work to ensure that every detail is meticulously planned. Dine amongst Arts and Crafts history at the beautifully restored Roycroft Inn, a national historic landmark. 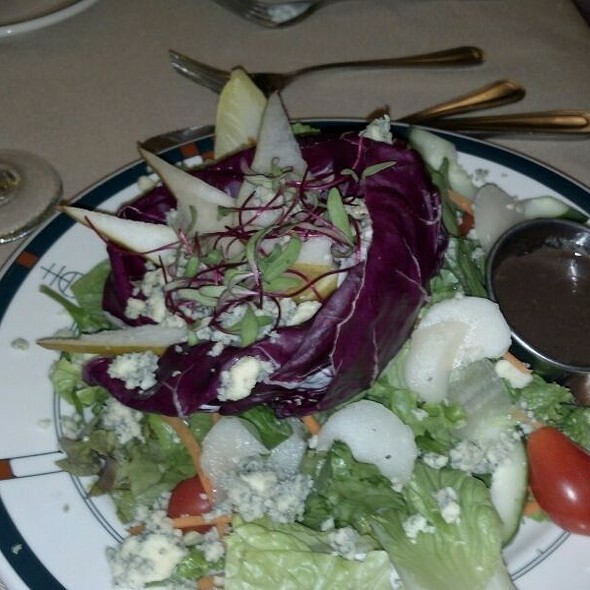 The Roycroft Inn features an artisan inspired menu highlighting regional and seasonal foods. Our Chef uses many locally produced ingredients in the preparation of this contemporary menu with daily special creations. The Sunday brunch was voted the best in the area by Buffalo Spree magazine and Zagat Survey has named the Roycroft Inn “best bang for your buck.” . In addition The Roycroft Inn's Sunday brunch has been rated in the top 100 brunches in the United States for the last two years by Open Table diners.There is fireside dining during the winter months and outdoor dining on the peristyle in the summer. Ambiance is casual elegance. Located within 30 minutes of the Buffalo/Niagara Airport and steps away from local ski resorts. been reduced . Also we felt that a lot of the food was very salty-hash browns, sausage, quiche. Only one soup was offered. Therefore we were somewhat disappointed with our visit. Always a lovely place for brunch. 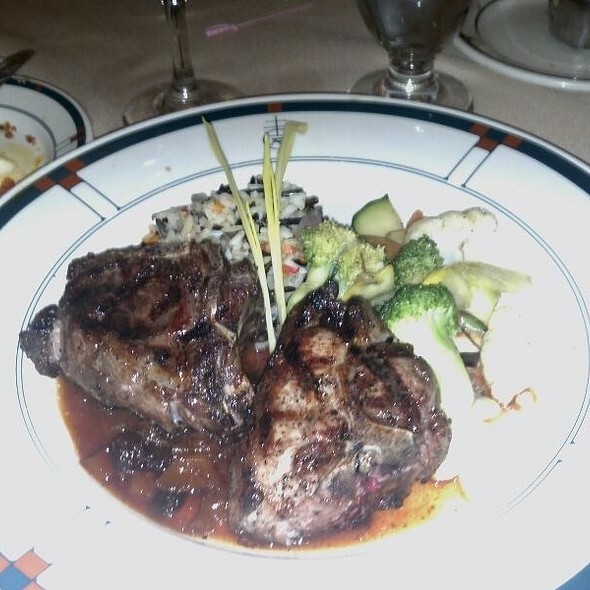 Food is always delicious , service is friendly . I love that they dont fill the resturant to overflowing . Our only complaint was the hashfries were undercooked everything else was wonderful. Food was delicious, but service was very slow. We were the only table occupied in our dining area, and it took over one hour to get our entrees. Last minute decision to go out to dinner...and we were so happy we chose The Roycroft. There was a jazz band playing in the foyer, and our dining seats were perfect, far enough away that we could talk, but close enough to hear the band. Service by Dan was superb! He offered advice and information, and was prompt & courteous...just the ideal waiter! Food was wonderful, hot & delicious! A thoroughly enjoyable evening...highly recommend The Roycroft for food, service and atmosphere. 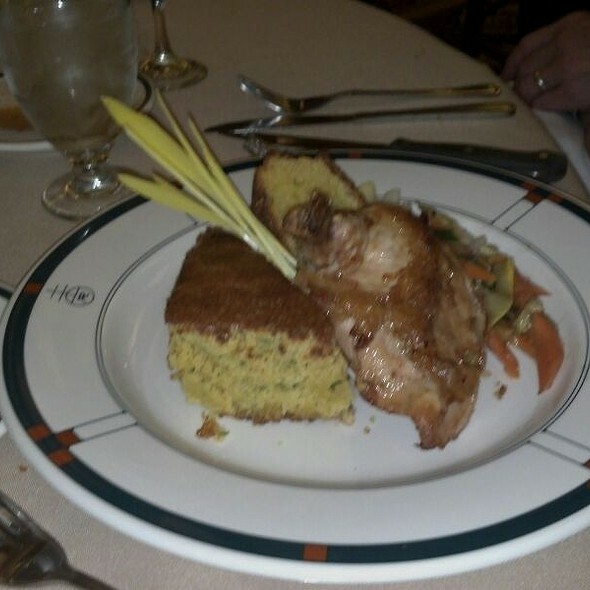 Food was delicious and service was excellent. Can’t wait for my next meal. Sunday brunch, probably one of the best choices for families in this area because it will appeal to guests of all ages. My friends and I came here for Restaurant Week. The food was absolutely delicious! My husband and I will definitely be returning. Nice evening with good food, great service! Time to catch up with family. I enjoyed my first dinner there but my sister had the salmon and it was very dry and she complained and wanted it taken off the bill and that was another issues afterwards. The manager ended up taken my sisters whole dinner off the bill for 20.19. My husband and I love this restaurant. We usually go there at least 4 times or more a year. Our first visit to the RoyCroft Inn .... I found the environment to be friendly, warm, and welcoming .... the food and service was outstanding! Birthday lunch with a friend. Great meal! Love curry so decided to try the vegan coconut curry and I was very impressed by their take on a vegan Italian sausage. Tasted like the real deal! Delicious, would definitely go again. Danielle, our wait person was cautious and respectful of my food allergies and made sure my meal was safe to eat. Always a relaxing and lovely dinner. We've eaten here before and have loved each time, the food is so good. This time our waitress offered to pack up my left over ice cream I couldn't finish and was sad to leave behind. She did an excellent job packaging it up and it made it survived our 2 hour drive home and I was able to eat it the next day. Now that's service! We keep coming back to the Roycroft because it is consistently good. 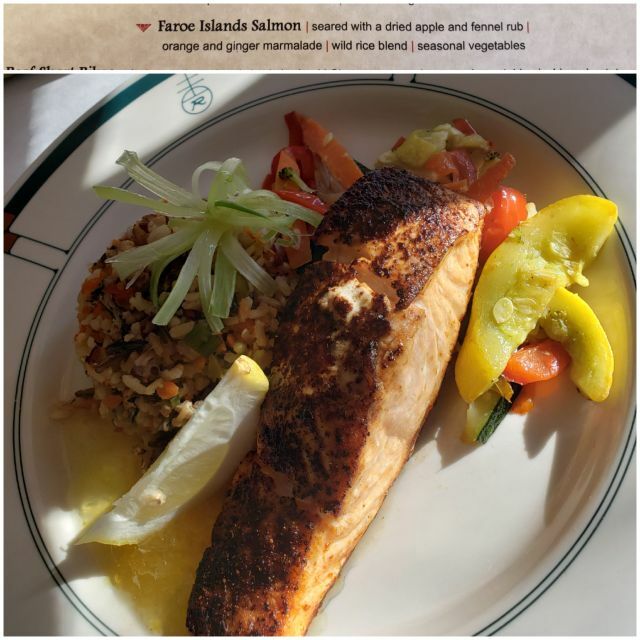 Yesterday’s catch of the day, salmon, was perfectly cooked with a soy/maple glaze served with rice pilaf and a broccoli and cauliflower vegetable medley. I think the bread basket which is brought shortly after seating, could be improved with a firm and crusty bread rather than an offering of soft muffins and soft bread. 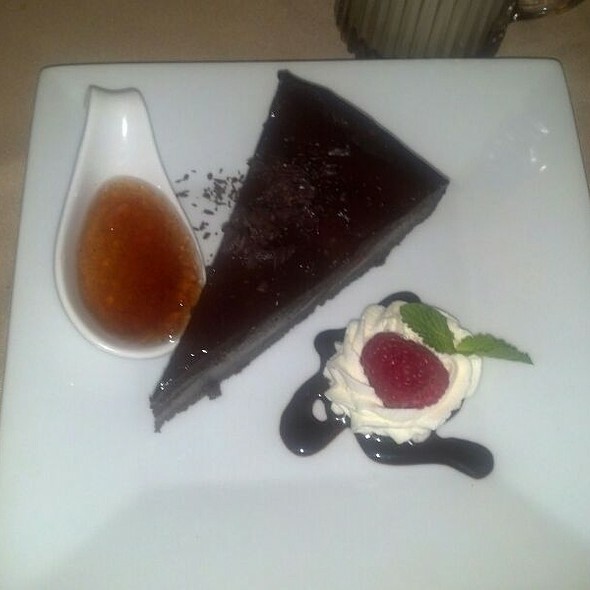 The delectable desserts are offered in full and also “sliver-sized” portions. Good service and lovely ambiance. It’s worth a drive to East Aurora from Buffalo, New York. 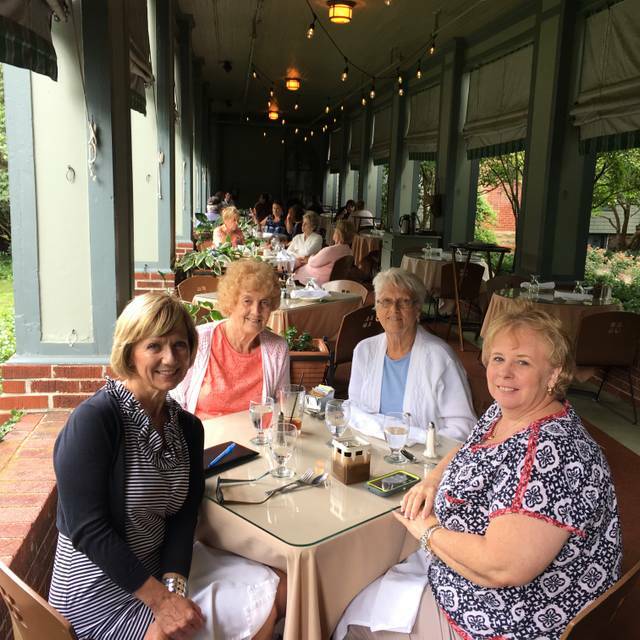 We celebrated my mom’s 90th birthday with an elegant family lunch at the Roycroft Inn. Included in our party were a vegan, a person who is glucose-intolerant, and a two-year-old, and there was something for everyone! The food was delicious, the service was impeccable, and I can’t say enough about the beautiful birthday cake that the pastry chef prepared for a special birthday. It was both beautiful and delicious. Always lovely, delicious and exceeds expectations each time. 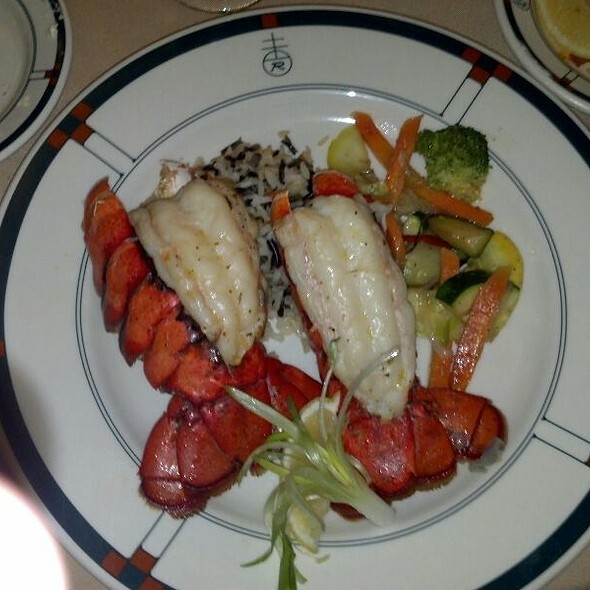 Fantastic staff, ambiance and exquisite cuisine! Enjoyed our experience, but could not understand how they seated tables: everyone was seated on one side of the room instead of spreading tables out, and therefore the noise level was higher. Food not cooked as ordered. Defensiveness why it arrived over-cooked reduced my enjoyment of the experience and enthusiasm. Service recovery training is needed. There are many other fine choices with better customer service. A trip back in time to The Roycroft Inn. The menu is very gluten-free friendly, including desserts. We ordered from daily specials, and their winter menu. Delicious risottos (as a main, or a side). 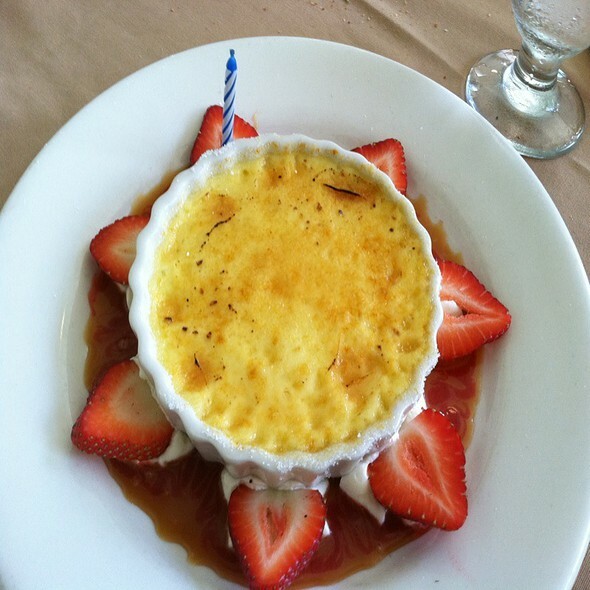 Great half size desserts available. Polite attentive staff, vibrant fire flickering. we happened to be there when it was very busy. It was loud due to a st.patricks party going on. Our food was very slow in being served but we did get a free bottle of wine. The wait staff was nice. Brought my sister for her birthday. She loved the ambiance, food and just the overall feel of the place. Staff was super accommodating and helped me surprise her!! This was our first time visiting the restaurant. It was a great choice for celebrating our anniversary. The food, people, and overall night out was great! the plates felt as they came out of the freezer so our hot food was cool by the time we could carry it back to our table .but the food taste very good . Always an incredible experience at The Roycroft!! Love the history of the Roycroft, amazing dining exp. The food is delicious! The service was awesome even with the restaurant packed with people. We look forward to our next visit! Very nice place and food was cooked perfectly. Appetizers and bisque soup were delicious as well. Service was attentive yet not bothersome. Amazing food, amazing atmosphere, amazing service! Wonderful experience, however, the band in bar was loud towards mid to end dinner.